Self serve vending machines for lotteries in the US have been around for years. This unit, which I saw at the New York Lotteries office near Wall Street, is new to me. It leverages the self checkout technology that is similar to what we see in local Aussie supermarkets. You can buy and check lottery tickets. There are quick pick options as well as the opportunity to select your numbers. It also reads paper prepared tickets. It’s easy to use. 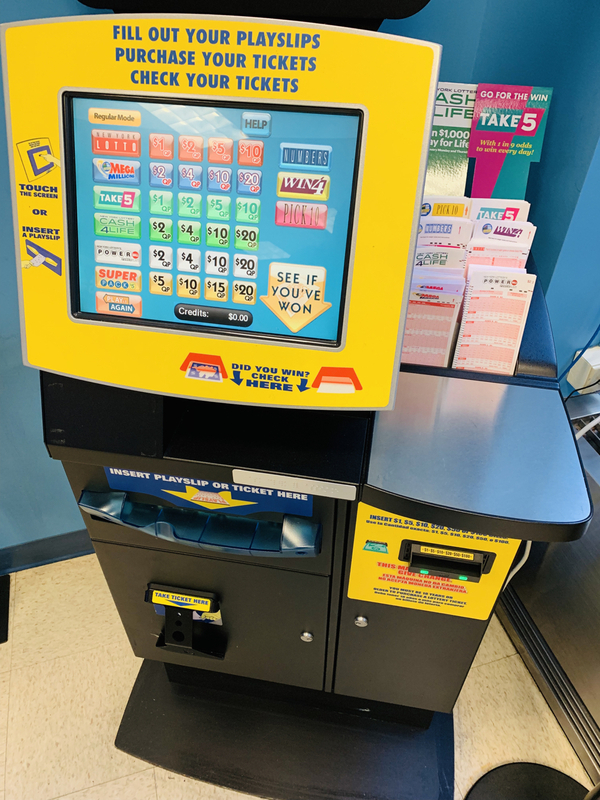 With the labour cost of selling lottery tickets a big cost per ticket sale, it makes sense that engaged lottery operators continue to look at ways of cutting the labour costs in each ticket purchase. This self serve machine does not validate the age of the customer. 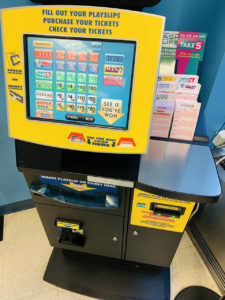 In the US the closest you get to that with any o the self-serve and vending machines for lotteries that I have seen is a sign declaring that you need to be 18 or above to purchase lottery tickets. I don’t know of Tatts in Australian is working on self-serve machines like this one. It would make sense if they were as they need to combat the growing competition for everyday gambling and this means being more accessible to customers … being in more outlets and making online even easier too.